Book News: James McBride, Surprise National Book Award Winner : The Two-Way Also: a debate on the value of literary prizes; Man Booker winner Eleanor Catton on prize-related nightmares; and Doris Lessing's reaction to winning the Nobel. 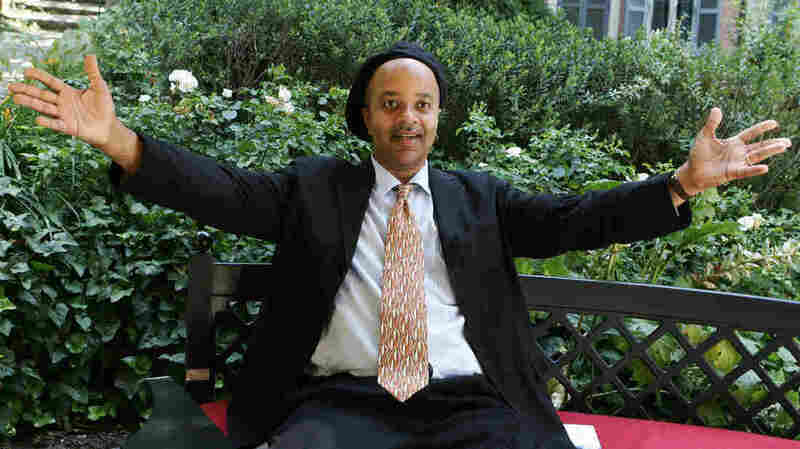 National Book Awards judges lauded writer James McBride, seen in 2007, for "a voice as comic and original as any we have heard since Mark Twain." Eleanor Catton tells The New York Times that since winning the Man Booker Prize "she has been having anxiety dreams featuring belligerent readers at literary festivals, the kind of dreams that first plagued her after The Rehearsal. Then, an imaginary reader would say, 'You do realize that you didn't write this book, don't you?' In the updated, Luminaries-related dream, a new reader stands up and announces, 'You do realize that your book doesn't make sense, don't you?' "
Daniel Mendelsohn considers the value of literary prizes in a debate with Jennifer Szalai: "[T]he anxiety that fuels our complaints about the Nobels and the Pulitzers is ultimately an anxiety about the mysteries of taste, about who has it and how it operates. And yet we must constantly exercise our taste, whether in recommending a book to a friend or awarding a medal in Stockholm. That's why we never stop arguing about prizes. One thing is inarguable: that so many civilizations, over so many millenniums, have felt it crucial to award prizes to works of art — which is to say, to show that literature, art, theater and even criticism are prized. Whatever the names on the plaques and medals, the real winner, in the end, is culture itself." Alexandra Schwartz celebrates Doris Lessing's indifferent reaction to winning the Nobel Prize: "We tend to expect certain things of people who win big prizes. First, there should be surprise, even shock, chased by a flicker of disbelief. That disbelief should soon give way to pleasure, but unchecked pleasure in the flush of success can be unseemly, embarrassing to witness; like Augustus Gloop lapping up the chocolate river in Willy Wonka's factory, it makes for a gluttonous, and risky, display. The idea is to be collected, gracious, and sincere, to thank all of the people who helped you on your way to this, the most important moment of your life. Winning the Nobel Prize was not the most important moment of Doris Lessing's extraordinary and prolific life, and it seems as though some of her critics won't forgive her for not pretending that it was."